A few months ago we brought you the details of the Winter Fairmont airline mileage bonuses that included a bonus for Aeroplan members. 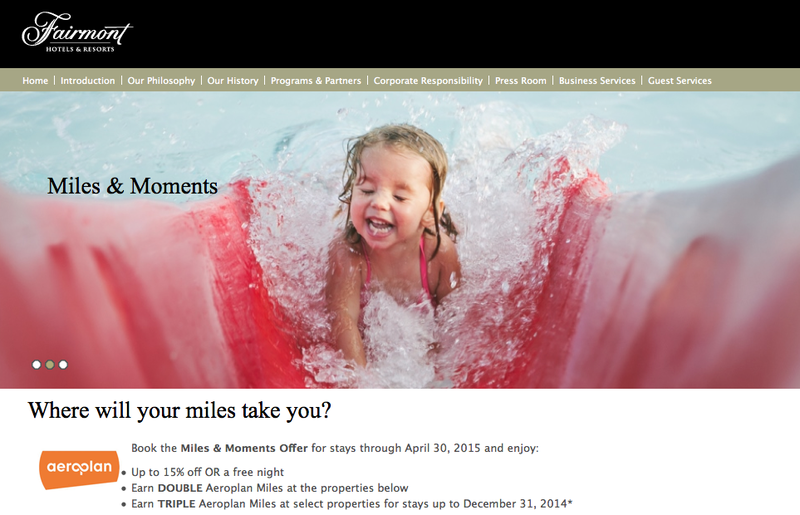 The bonus is Double Miles but now it appears that Aeroplan members can earn Triple Miles for stays at select locations until the end of the year. Yes it isn't much notice but if you just happen to be planning a stay at one of these locations by December 31st you might as well go for Triple Miles!